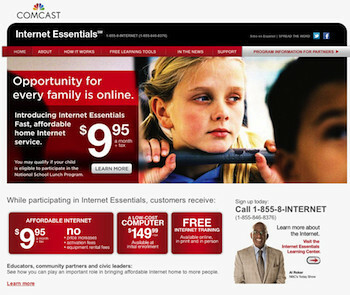 If you are a subscriber of Comcast’s Internet Essentials program, we’re certain you feel fortunate to have it. It’s not easy to find 5Mbps internet service for $9.95 a month. Obviously, you’ll want to hang on to it as long as possible. You’ll need to maintain your eligibility, and you’ll also need to make sure you don’t do anything that gives them an excuse to terminate your plan. Let’s review some things you should be aware of. To qualify for Internet Essentials, you must have at least one child eligible to participate in the National School Lunch Program (including reduced price school lunches). This includes parochial, private, cyber-school, and home-schooled students who would qualify. In addition, there is an instant approval process for families whose students attend schools with 70 percent or more National School Lunch Program participation. If you no longer have a child who qualifies, you are no longer able to participate in the Internet Essentials program. How do they know if this occurs? Each year each Internet Essentials subscriber is required to reconfirm their household’s current eligibility by providing up-to-date documentation. Failing to provide documentation proving eligibility will make you ineligible to participate from that point on. So, when you get a notice from Comcast/Internet Essentials to confirm your eligibility, do not delay or neglect doing it. Make sure you fill it out correctly and send exactly the paperwork they request. It goes without saying that you need to pay your bill. But the problem is, we don’t know how much leeway you get with late payments. Don’t take a risk, and make sure you always pay the bill on time. It would be best if you can set it up as an auto-payment. To be specific, in their Terms and Conditions, they say they can cancel your participation in the plan if “you fail to maintain your Comcast account in good standing.” That’s fairly ambiguous, so best not to test exactly what it means. All we can say is that if you are going to move, call up Internet Essentials and discuss this with them — don’t just move and then ask for them to give you service at the new address. We assume you will be able to take your internet with you if you properly notify them, but given their rule, we can’t say for sure. How long will Internet Essentials be around? Keep in mind that the 2014 extension announcement was made a month after Comcast announced its plan to acquire Time Warner Cable. That’s important to note because Comcast undoubtedly wants to make the FCC happy so they can gain approval for their acquisition. Our take is that if the FCC blesses the acquisition, one condition will be to continue providing Internet Essentials. If the FCC denies them, all bets are off. I need 5 Mbps of upload not 2, can I not add additional? I haven’t had internet because I use the hotspot from my phone. Just recently got a work from home job and their are speed requirements. The download speed is fine, it’s the upload speed that doesn’t qualify. What do you recommend? That’s a question for Internet Essentials customer service or tech support, Tonya. Give them a call. Those are two completely unrelated numbers, Joe. Comcast agreed to keep the Internet Essentials program going for five years. They have done that now and the company continues to fully support and expand the program. That is unrelated to the fact that you must prove annually that you actually qualify for the program. How many devices can we connect with internetessentials? Why can’t we upgrade to where youtube will work, they watch projects making on there. YouTube says loading after putting it on something and just stays there until we turn it off, nothing ever pops up. You can connect as many devices as you want, but keep in mind that they will each eat up data and slow down your service. There’s no reason you shouldn’t be able to view YouTube videos. We’d suggest that you speak to your service provider’s customer service and/or tech support teams. 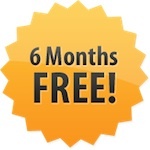 There is currently ZERO leeway after the due date, and although Internet Essentials cost is $9.95/mo, the late fee is $10.!! This is unfair and hidden until it happens. We’re going to take a wild guess that the $10 late fee can be found in the Terms & Conditions, but no one ever reads those things. Including us. Do you have to have desktop or will laptop be ok? Both will work just fine, Terri. How can I get an affordable phone in addition to Internet Essentials for which I have already been approved? I think it’s dumb that I have to cancel my current subscription allow my child to fall behind and wait almost 4 months to get it back unfortunately Comcast is the ONLY provider in my area, and none of my neighbors have internet…i can’t be the only one upset or angry over this!!! Pay particular attention to PCs for People which is now available in all fifty states. Hello. I Just signed up to receive Internet Essential Plan. and was approved for installation for next week. 5/23/18 I just noticed after I submitted that it would be a problem to transfer the services if I move, how can I go about with that since ill be moving to a new apartment on July 2018?. but its still in the same complex just different apartment number. That shouldn’t be a problem, Lynn. But you should contact Internet Essentials customer service ASAP to discuss what steps must be taken. I need to transfer services to new address. How do I do that? Contact your service provider’s customer service team ASAP, Christopher. I haven’t paid my bill in 3 months and it’s just now disconnecting if I go in and pay it will they re connect my service ? As far as we know, there’s no reason they would not reconnect your service. Do I pay my bill with Comcast ? or should I get a money order and mail my payment in ? I would rather go to Comcast or where I’m able to pay it. Someone please help cuz my bill will be due soon. You can do it either way, Greta. But if the bill is due soon, we think it would make a lot of sense to pay it at your local Comcast office. Always make sure that you get a receipt and keep it so you can prove you made payment. How old does the subscriber have to be in order to get the service and can the subscriber be currently in school?